Offering you a complete choice of services which include laboratory recognition scheme services. The Laboratory Recognition Scheme is governed by the provisions under Section 10 (1) h of The BIS Act 1986 and the BIS Rules, 1987 [10(2) (a) & (b)]. These statutory provisions confer upon BIS, powers to recognize any laboratory in India or in any other country for carrying out testing of samples in relation to use of the Standard Mark and such other functions as may be necessary. The Rules also provide for de-recognition of a recognized laboratory by the Bureau for non-fulfillment of any condition laid down at the time of recognition. The guidelines for recognition and de-recognition of the laboratories have been laid down by the Bureau in this scheme. 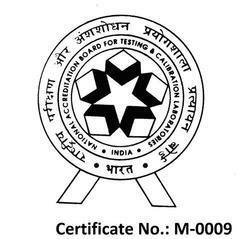 BIS also maintains a register of such laboratories as are recognized by it for testing of samples of articles or processes in relation to relevant Indian Standards.